right at the end of the longest illuminated toboggan run in the world. From 30th May 2019 we are happy to be back for you! 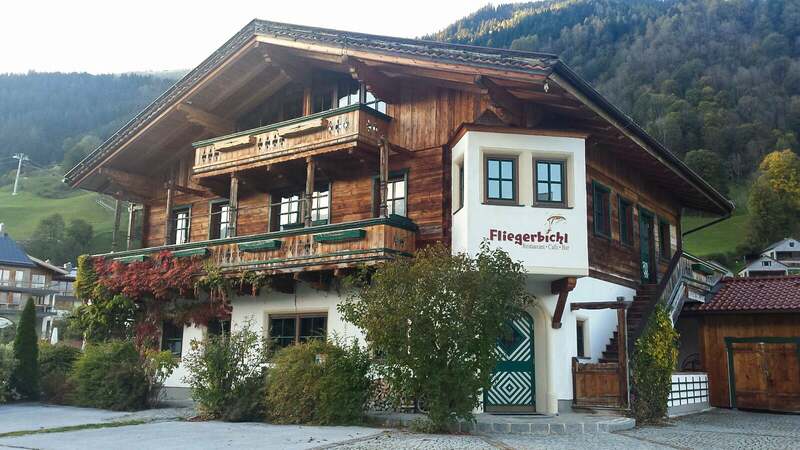 As our traditionally built house is located directly on the practice slope of the paragliders – on Pinzgauerisch Bichl – we have named our restaurant Fliegerbichl. Whether alone, as a couple or in company, the Fliegerbichl offers something for everyone. Local delicacies, Italian dishes and selected wines from our wine cellar invite you to linger. Enjoy the cozy atmosphere on our quiet and all-day sunny terrace with beautiful, open views of the surrounding mountains in the summer. 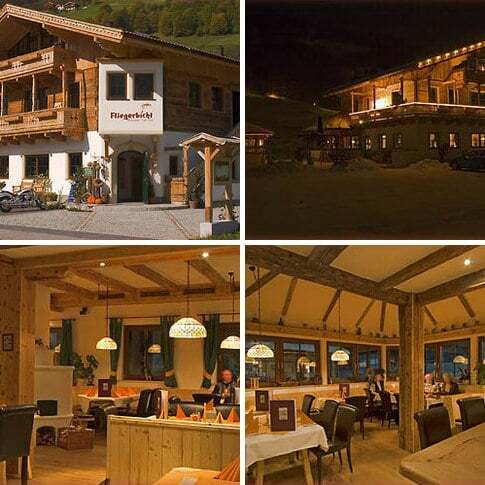 Or warm yourself in the winter after a toboggan run with a drink in our cozy apres-ski bar in front of the open fireplace. Nicole, Markus and Laura Nill are looking forward to your visit with the Fliegerbichl team.